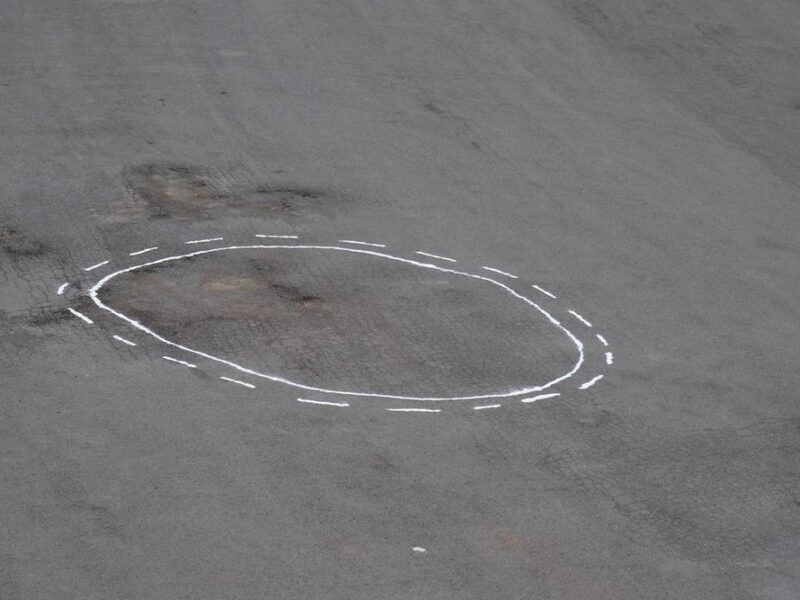 Somewhere between pagan magic, modern science and quirky satire, this installation project uses salt circles but also the logic of traffic lines to lure in and ensnare unsuspecting autonomous vehicles. 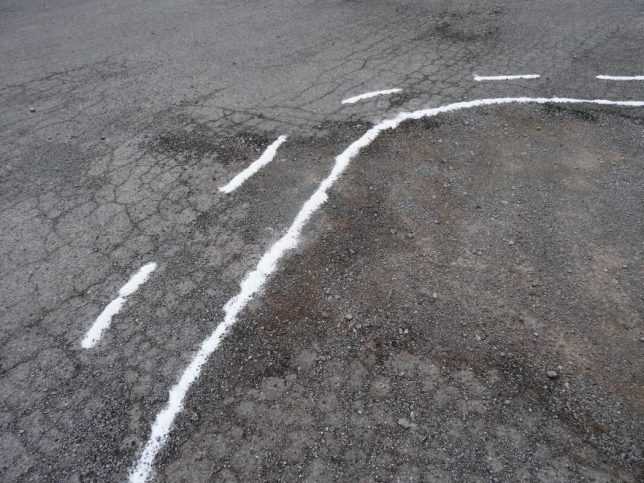 James Bridle‘s Autonomous Trap 001 employs familiar street markings found on divided highways – per the rules of the road, cars can cross over the dotted line but not back over the solid line. It sounds a bit absurd, but consider: driverless cars with various degrees of autonomy are already hitting the streets, and these do rely on external signals to determine their course. As these technologies gain traction, it is entirely likely that serious attempts will be made to spoof and deceive their machine vision algorithms. “The scene evokes a world of narratives involving the much-hyped technology of self-driving cars,” writes Beckett Mufson of Vice. “It could be mischievous hackers disrupting a friend’s self-driving ride home; the police seizing a dissident’s getaway vehicle; highway robbers trapping their prey; witches exorcizing a demon from their hatchback.” It has elements of cultural commentary that stem from acute awareness of real conditions, bordering on the absurd but also quite sobering. 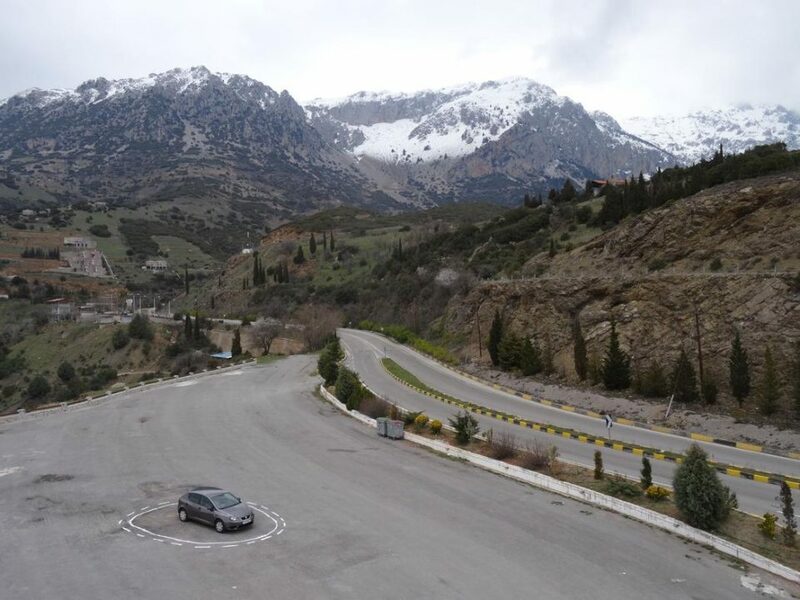 In fact, Bridle made his trap while training his own DIY self-driving car software near Mount Parnassus in Central Greece. 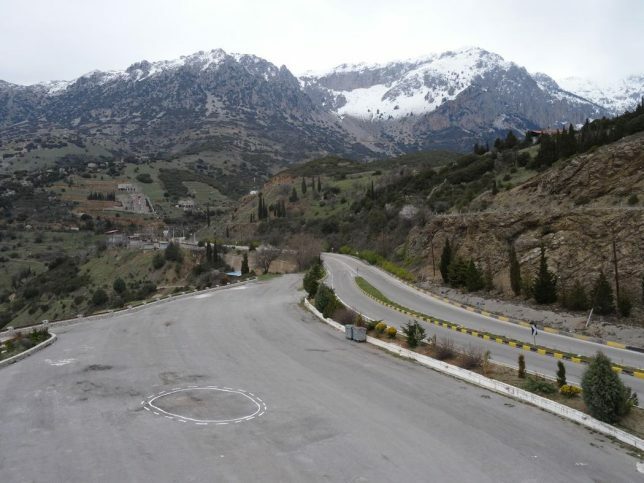 “Parnassus feels like an appropriate location,” he says, because “as well as [having] quite spectacular scenery and [being] wonderful to drive and hike around, it’s the home of the Muses in mythology, as well as the site of the Delphic Oracle. The ascent of Mount Parnassus is, in esoteric terms, the journey towards knowledge and art.” Meanwhile, Bridle continues to work on other pieces related to contemporary technology, tackling subjects from machine vision and artificial intelligence to militarized tech and big data.